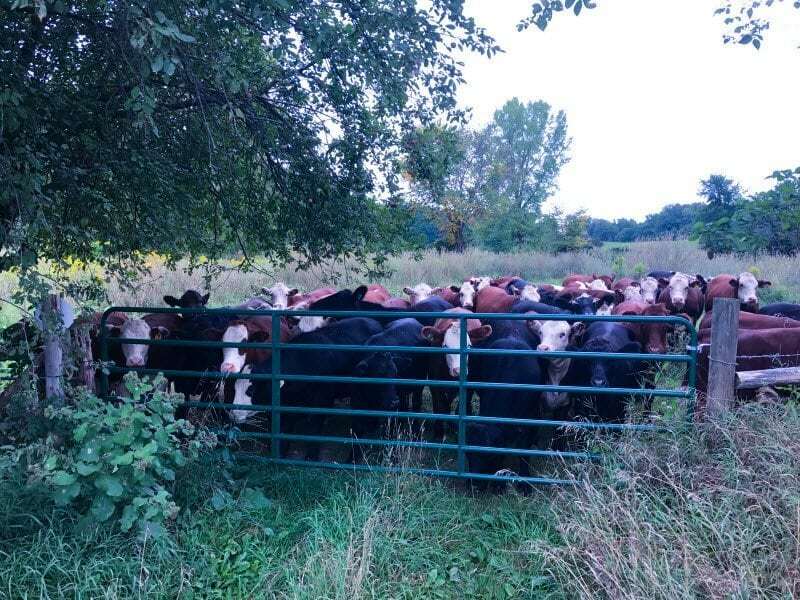 Here we see some of our fine looking pasture raised cattle at Vermont Natural Beef have decided to vary their diet by eating hundreds of fallen apples! That’s a large apple tree you see to the left in the picture and if you look carefully you may be able to see some apples still hanging on the tree. We have several apple trees throughout the farm and about this time every year, the apples start to fall. Once our cattle discover the treats waiting for them on the ground, they make short work of cleaning them up! Waste not want not, right? There’s still time to get an order in for delivery this fall for “apple fed” beef!